Ultra-compact DPSS solid state Q-Switched pulsed Nd:YAG lasers. 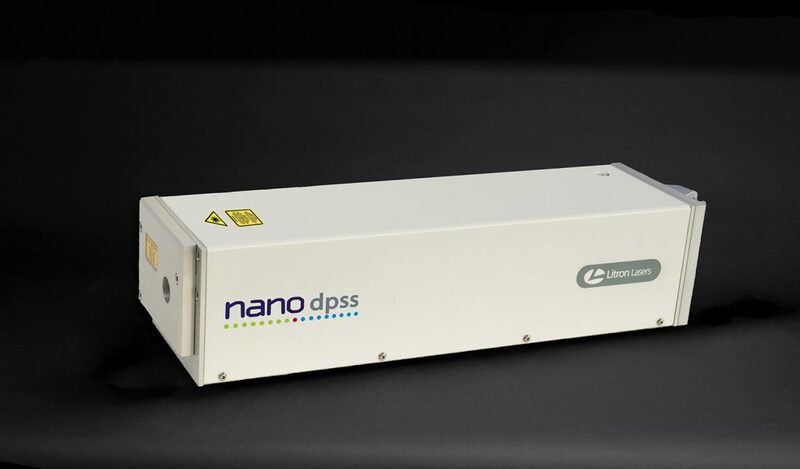 The Nano DPSS is a new addition to the established and field-proven Nano range of ultra compact pulsed Nd:YAG lasers from Litron. It comprises a set of fully diode pumped Q-switched pulsed Nd:YAG lasers with output energies up to 80mJ and repetition rates of up to 300Hz. All harmonics are automatically angle tuned with high precision linear actuators, making Litron’s unique mechanical angle-tuning much faster than traditional thermal tuning. This feature has the option of single, on-demand tuning or continuous automatic tracking of the crystals for guaranteed long-term stability. Additionally, harmonic generation crystals are thermally stabilised to better than 0.1°C.